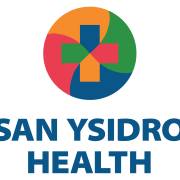 San Ysidro Health, Inc. San Ysidro Health, Inc. The Mission of San Ysidro Health Center is to improve the health and well-being of the communities we serve with access for all. In 1969, San Ysidro Health Center’s Founding Mothers came together with a common mission that would set the tone for health and well being in their community for generations to come. The mothers, with their entire families, typically had to travel to University Hospital in Hillcrest to receive medical care. This was often a day-long trek transferring from bus to bus. To solve this problem, the Founding Mothers formed el Club de Madres to help their children and people in the community find affordable and culturally-appropriate health care in their own neighborhood. At that time, only one physician served the 7,000 largely Mexican-American population in San Ysidro, a primarily agricultural community. In early 1969, three of the Founding Mothers found their way to Dr. Ruth Covell, who was then the Assistant to the Dean of University of California San Diego’s (UCSD) School of Medicine in La Jolla, California. Dr. Covell, a current San Ysidro Health Center Board Member, was familiar with funding sources for such projects and was drawn to the Founding Mothers vision, passion and conviction. Despite language differences, Dr. Covell and the Founding Mothers developed a plan of action. From the beginning, the objective was to deliver medical services as well as provide jobs within the community and inspire young people to seek health careers. Would you recommend San Ysidro Health, Inc.?